Filtration Series: Whole Home Filters. 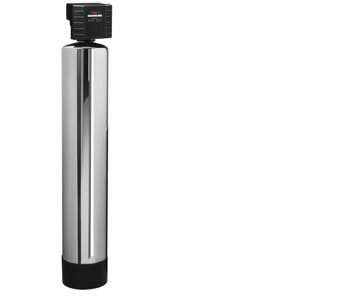 Addresses Chlorine, Chloramines, Disinfectant Off-gassing, Water Off-Taste, Odor, Particulate. Who loves it Anybody who wants only treated water to touch their skin and body. Description Self-regenerating whole home custom filter protects you, your environment and your aesthetic water aspirations. How it works Organic coconut shell carbon with mediaguard option (model no AQFilterMax series) or virgin activated carbon with catalytic functionality (model no AQFilterMaxUltima series) physically adsorbs impurities and rinses them away when system regenerates to clean its media bed, typically once every 30 days. Regenerate water is 100% reclaimable. Uses no more energy than a doorbell.